Today we will leave hotel at 8 am. 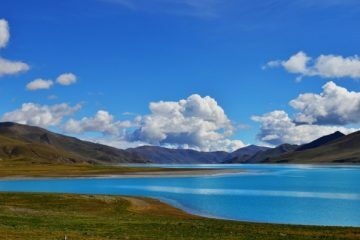 And it takes about 4 hours to get to Lake Namtso. The 250 km landscape is amazing. We will pass by some small Tibetan villages near Duilong county, Yangpachen town, Damxung County. If it is in the summer, we can see the green scenery, the grand grassland along the way. 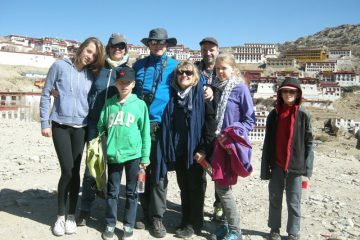 And we can see the Tibetan Shepherds, their yak tents houses, and the wild and lovely Tibetan national animals. And we could even go to the inside of the yak tent and learn the Tibetan Nomad’s people’s shepherd life. 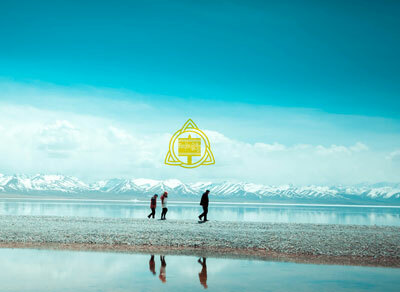 When we get to the Lake, it is around lunch time, so we can choose one restaurant to enjoy the food on such high altitude.After the sightseeing, we will leave around 3 pm and drive back to your hotel in Lhasa around 7:30 pm. 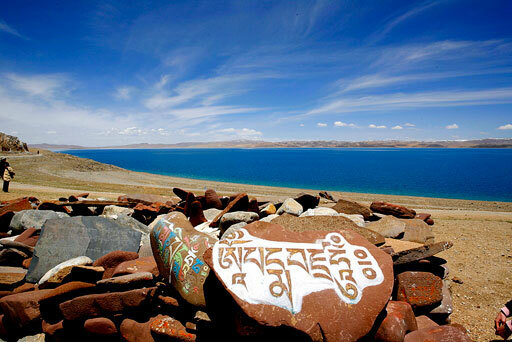 This Tibet holy lake trip in one day is a long day trip, however it covers lots of landscape. 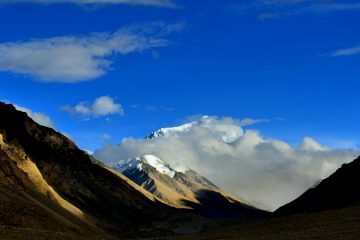 And due to the long distance with transportation service involved, it is very necessary for yo to join this day trip rather than booking a private Namtso day trip. 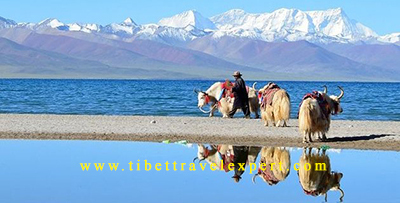 One day trip is quite normal in Tibet because mostly people do not like the high altitude overnight stay beside the Lake, especially in April, May, September, we do not suggest you book overnight stay Namtso Lake trip. You would have serious headache at that poor facility and touristy zone. 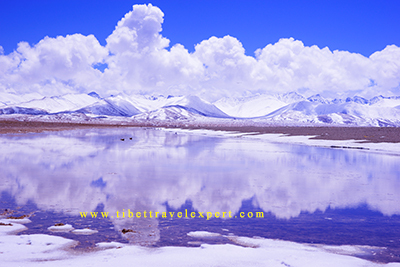 Trust Tibet Travel Expert and take the day trip in lower season, and probably have one night stay in June, July and August.